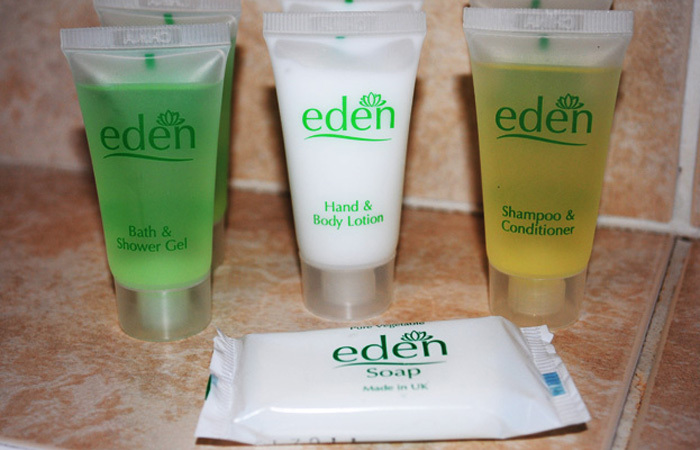 Our best rates are only available by booking through this website or telephoning direct. 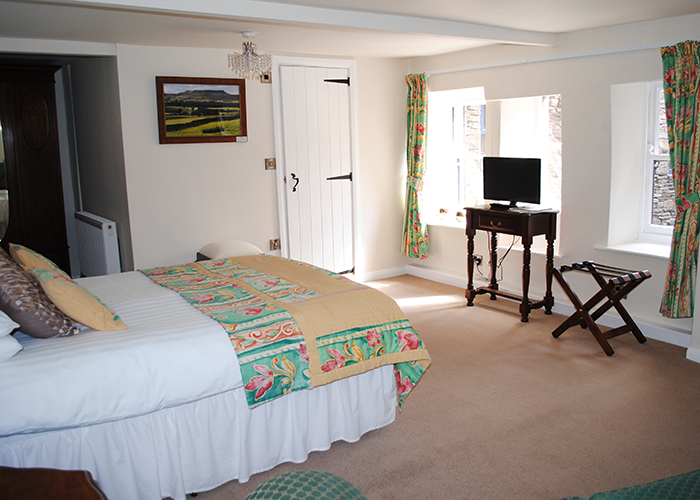 Please take a look below at our warm rooms ready for your stay. You can make an online booking using the search facility on this page, or please feel free to contact us direct either on 01969 650535 or via our contact form. 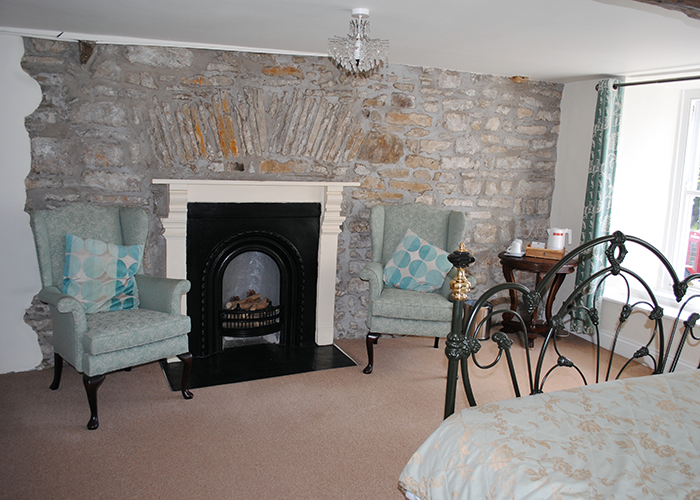 Room two faces the front of Sykes House and has fantastic views over St Oswald’s Church. 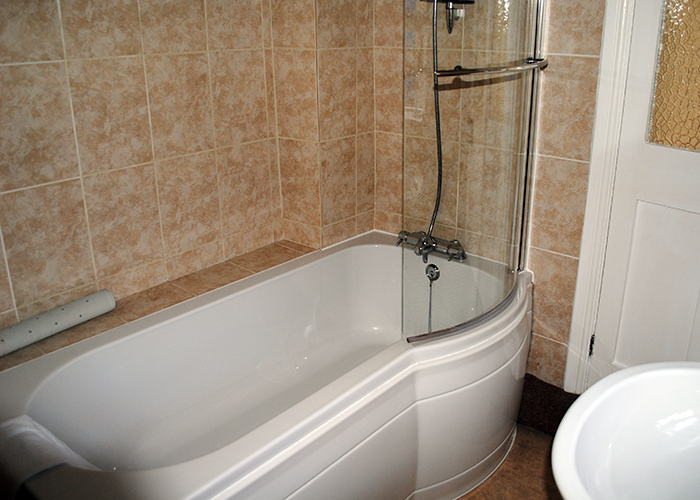 It is a large, comfortable room with a double bed boasting a brass bedstead with a new bathroom with a shower over the bath. 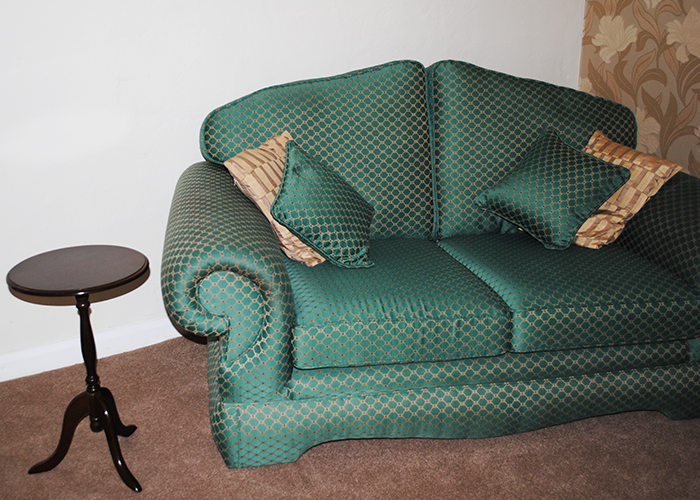 There are two comfortable armchairs where you can relax and watch TV. 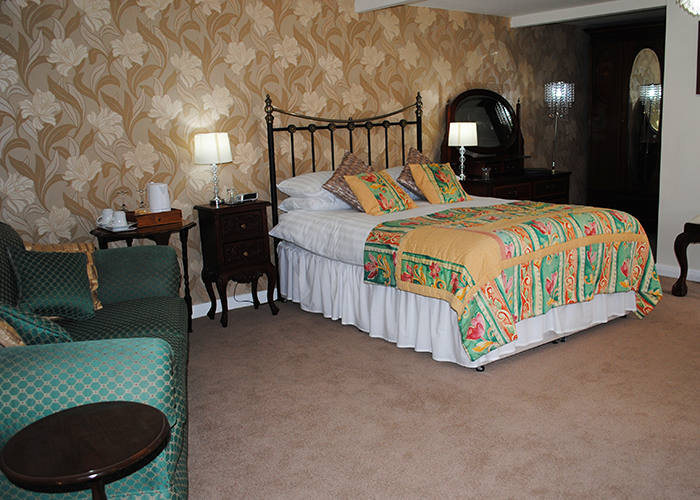 Room three is a large comfortable room with an ensuite power shower and double bed. 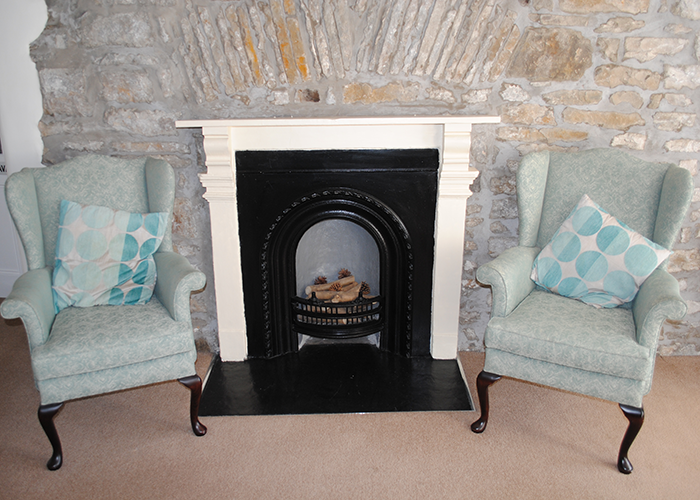 You can relax on the sofa and watch TV when you’ve finished exploring the Dales. This is the only pet friendly room. We regret that as Sykes House is a Grade 2 listed building, we have been unable to make it accessible for visitors with mobility problems or young children. 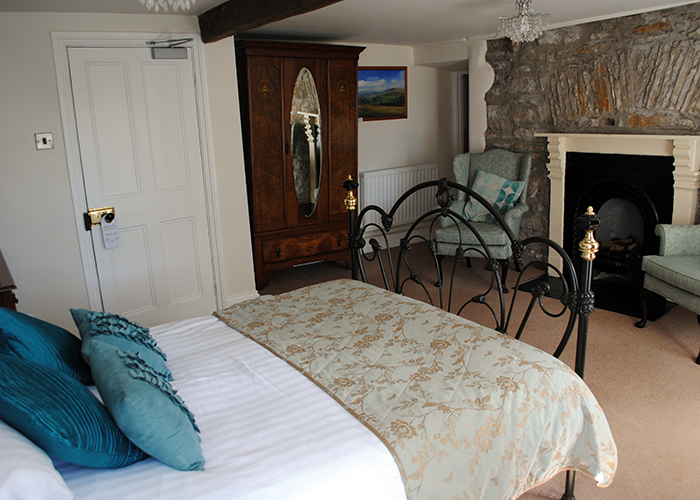 The entrance door is narrow and our guest rooms are on the first floor up a steep and winding stone staircase. 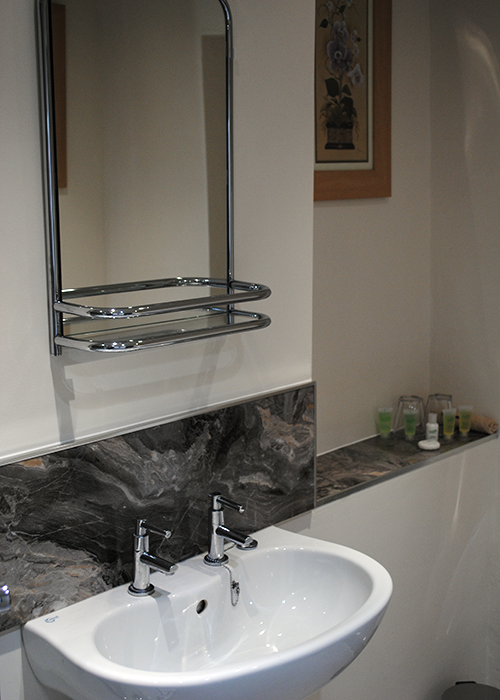 We do not therefore accept children or babies, or disabled visitors with mobility issues. A non-refundable deposit of £40 (one night) or £50 (two nights or more) is required to confirm the booking. On departure the balance can be paid by cash or credit/debit card. If a reservation is cancelled we reserve the right to charge £20 administration fee. 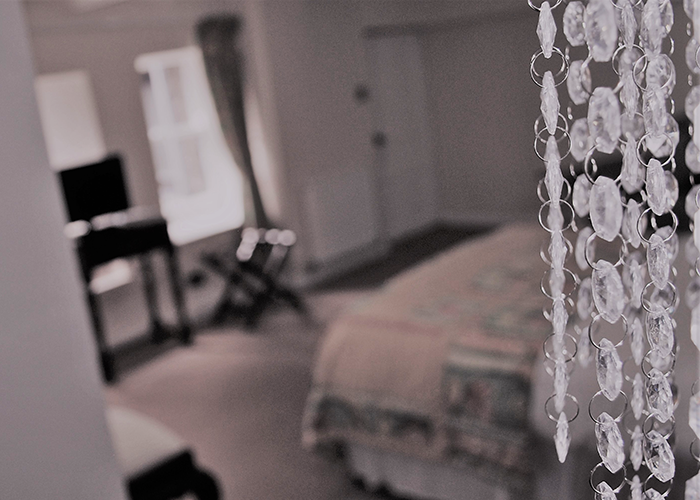 If cancelled within 24 hours of arrival, we reserve the right to charge for the entire stay, If cancelled between 2 and 14 days before the arrival date, we reserve the right to charge for the first nights stay. 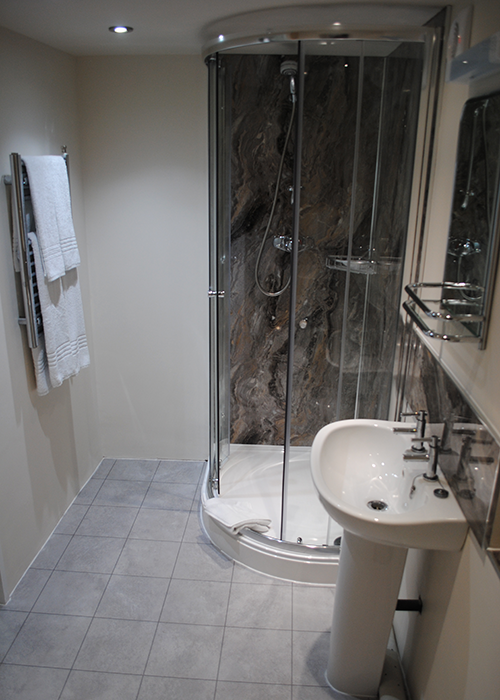 However, if you re-book within 6 months, we will hold the deposit and transfer it to the new booking. We reserve the right to refuse admission and cancel a booking if you arrive with a dog that has not been booked into room 3. If you arrive with a dog for a booking in room 2, you will be refused entry. Check in is from 2.30pm, the shop is open until 5.30pm Monday-Saturday and until 2.00pm Sunday, after this time please ring doorbell. We have secure undercover storage for bicycles, please let us know prior to arrival. 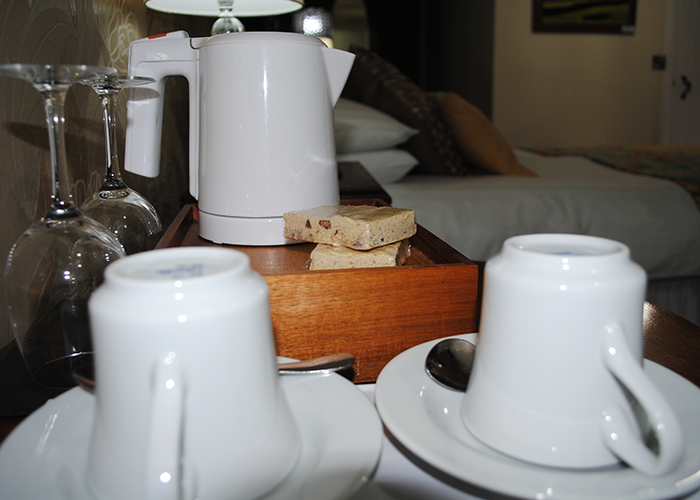 Any damage caused to the room, furniture or contents during your stay will be charged in full to replace or repair. Dogs are only accepted in room 3 with prior notification, they are not allowed in room 2. Maximum number of dogs allowed is two. There is a £10 charge per dog per stay. Please bring a bed, towels and bowls for your dog. Dogs are not allowed on the beds or any of the furniture, extra cleaning charges will be applied if necessary. Please do not leave your dog unattended in the bedrooms, s/he is welcome to come with you into the dining rooms if s/he will sit quietly by your chair, otherwise please take them out to your car while you eat. 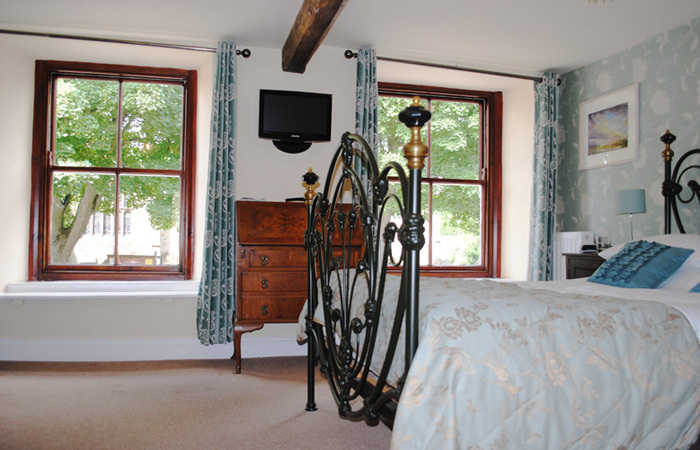 Room 3 is dog friendly for up to two dogs at a supplementary cost of £10 per dog per stay. Mobile signal is poor in the Dales, but there is a convenient phone box outside the church opposite. 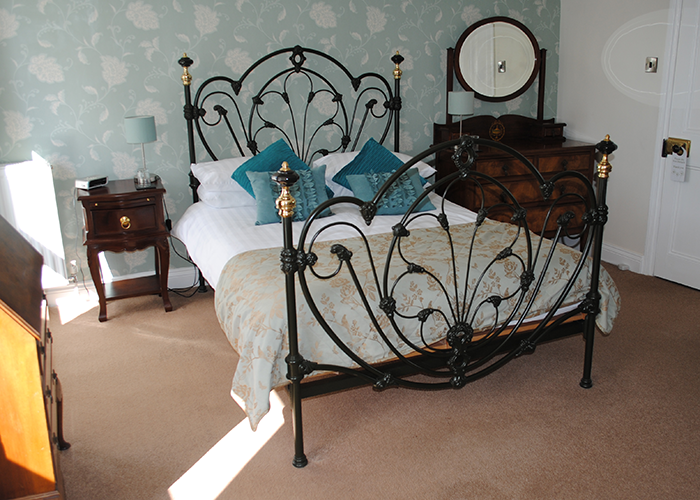 The following applies to both Room 2 or 3.
from £65.00 per night including full Yorkshire breakfast. Breakfast is served between 8.00am and 9.00am.Please let us know of any dietary requirements when you make your reservation and we will try and accommodate them. Packed lunches are available on request, please ask the night before you want them and they will be ready for you to collect after breakfast.